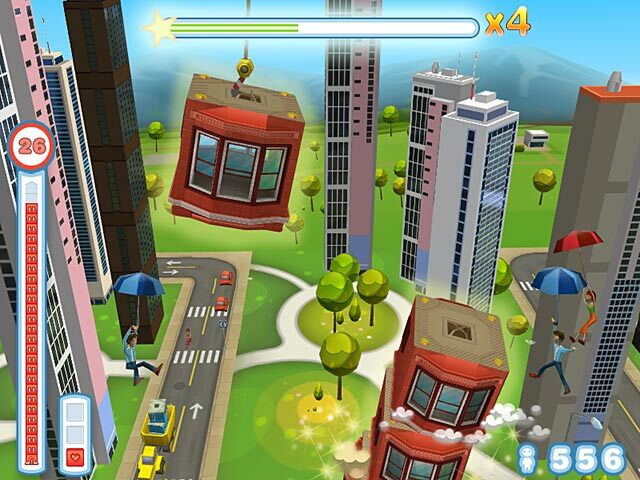 Reach for the skies in this wacky skyscraper construction game. 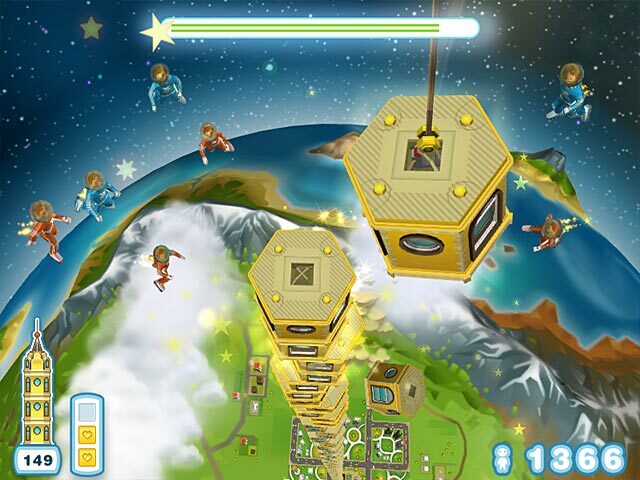 In Tower Bloxx Deluxe, your task is to build brand new homes for the Tower Toons – funny little people who move in and turn on the lights before they even have a roof. As a renowned tower builder, you’ll use funky physics to rebuild cities like Sycamore Vale. 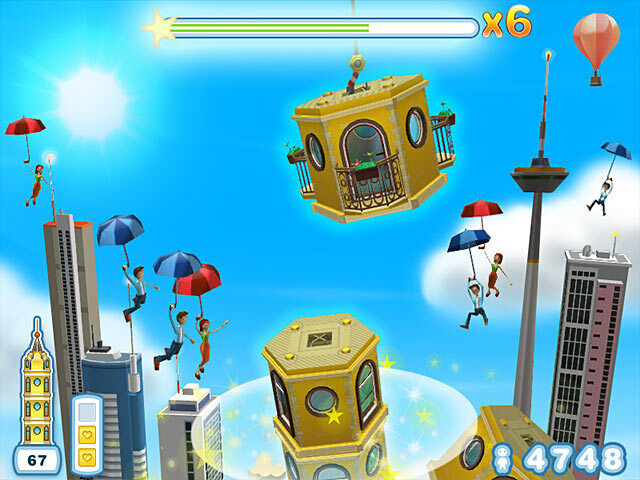 Align building blocks that swing precariously from the crane in this dynamic Puzzle game, Tower Bloxx Deluxe.